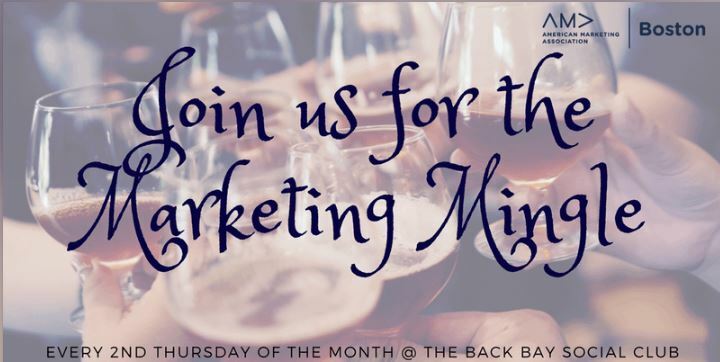 Join us for American Marketing Association Boston’s Mingle Thursday,February 14, from 6-8 p.m.. We’ll be getting together for a fun, informal networking event at the Back Bay Social Club in Boston, and YOU are invited. See you at American Marketing Association Boston’s Mingle February 14 at the Back Bay Social Club at 867 Boylston Street in Boston. We sure are looking forward to it and hope you are, too. Get your free ticket HERE!